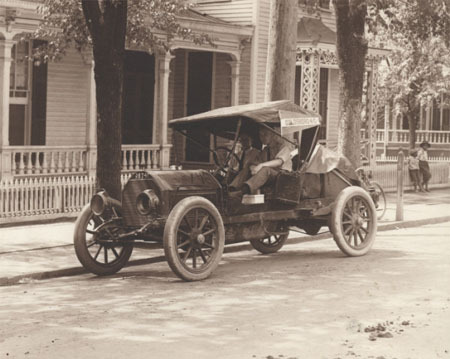 In June 1915, George Norwood and William Thompson set off for a cross-country road trip, driving from Goldsboro to San Franscisco in a 1912 Cadillac. 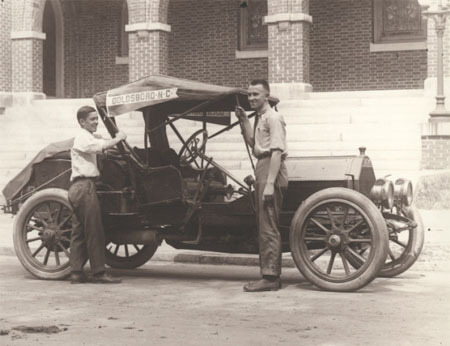 These photos, from the Wayne County Public Library, show the two men and their car at the outset of the journey. They made it all the way to Ogden, Utah, where a broken axle forced them to give up driving and finish the journey by train. They returned home by boat, travelling through the recently-opened Panama Canal. 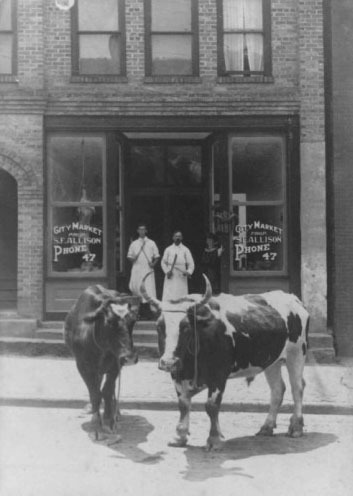 Here’s a nice photo, from the Transylvania County Library, of the City Market in Brevard, probably in the early 20th century. A closer look reveals that those cows should be pretty nervous. 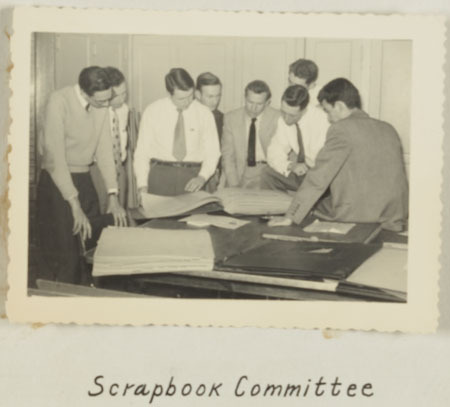 We recently digitized a large scrapbook created by a dedicated group of members of the 1951-1952 Rocky Mount Junior Chamber of Commerce – the “Scrapbook Committee”. The scrapbook, held by the Braswell Memorial Library (Rocky Mount, N.C.), contains correspondence, newspaper clippings, photographs, and Jaycee promotional materials. 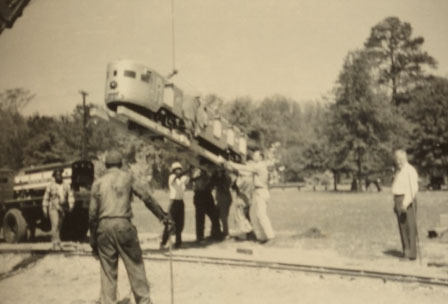 The Rocky Mount Jaycees were very active, promoting public safety and “Americanism” through pamphlets, meetings, and editorials; organizing an annual “Rural Youth Day” attended by around 2,500 girls and boys; advocating for an airport in Eastern Carolina; supporting local boy scouts; and hosting family picnics, costume balls, and beauty contests. 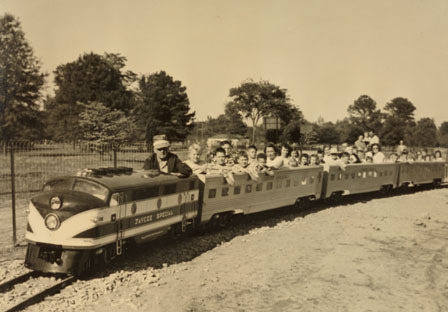 It was this group of Jaycees that originally came up with the idea for the Rocky Mount Children’s Museum; they went on to provide half of the initial funds for construction The scrapbook also details the Jaycees’ purchase of a miniature train for Sunset Park – still an attraction today! A set of church, family, and county histories from the library at Edgecombe Community College are now available on DigitalNC. 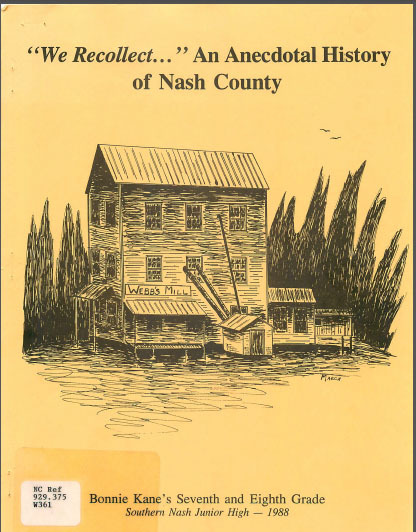 These papers were written primarily by students at the college at include several family histories and histories of churches in and around Tarboro. Q: How do you kill hogs the old way? A: First, you shoot them between the eyes. 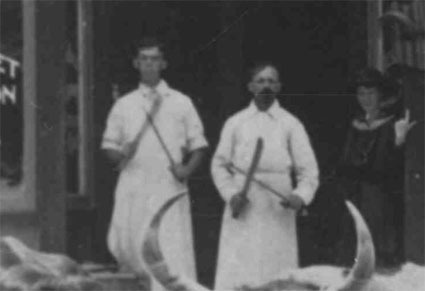 It’s from an interview with Sherwood Smith, whose store at Dortches was renowned for its traditionally-processed fresh meat. The interview starts on page 10 and includes Smith’s method for curing ham and the recipe for his famous sausage. 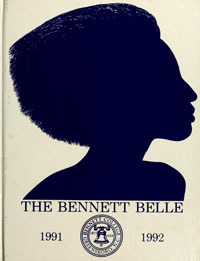 Student yearbooks from Bennett College in Greensboro are now available on DigitalNC. 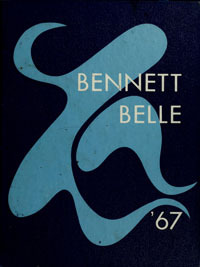 Browse issues of The Belle and the Bennett Belle from 1961 through 2002. 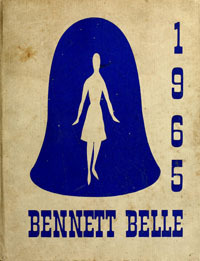 The yearbooks are from the Thomas F. Holgate Library at Bennett. While North Carolina has fortunately not seen anything this year like the terrible floods currently affecting the Mississippi River, our state is no stranger to the tragedy and disaster caused by flooding. 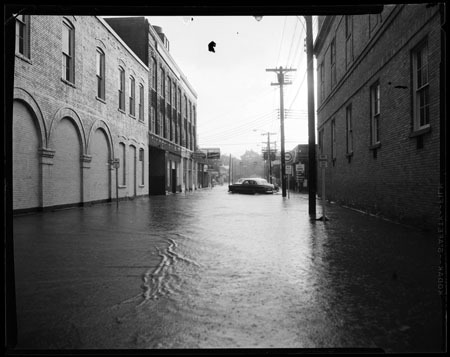 The Images of North Carolina collection currently has 43 different photos of floods and flood damage, showing floods in Rocky Mount, Ashe County, and Davie County. This image, from the Charles S. Killebrew collection at the Braswell Memorial Library (Rocky Mount, N.C.), shows downtown Rocky Mount in 1962. 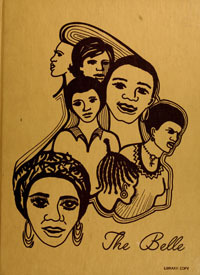 Student yearbooks from the University of North Carolina at Pembroke are now available online on DigitalNC.org. UNC-Pembroke traces its founding to 1887 when the Croatan Normal School was established in Robeson County. 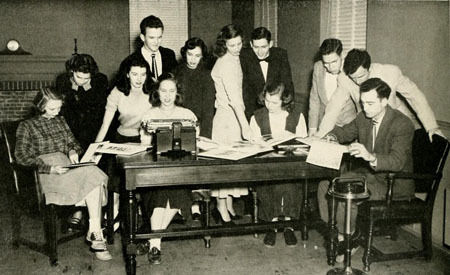 College courses were added in the 1920s and the first four-year degree was given in 1940. Until 1953 it was the only state-sponsored four-year college for Native Americans in the country. Pembroke State University joined the University of North Carolina system in 1972 and changed its name to the University of North Carolina at Pembroke in 1996. 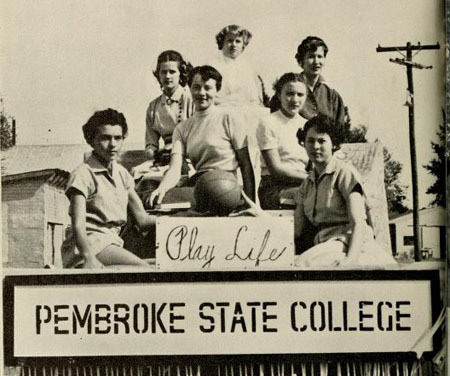 The yearbooks presented on DigitalNC are from the collections of the Mary Livermore Library. Sixty-eight historic photos from the Wayne County Public Library are now available on DigitalNC.org. 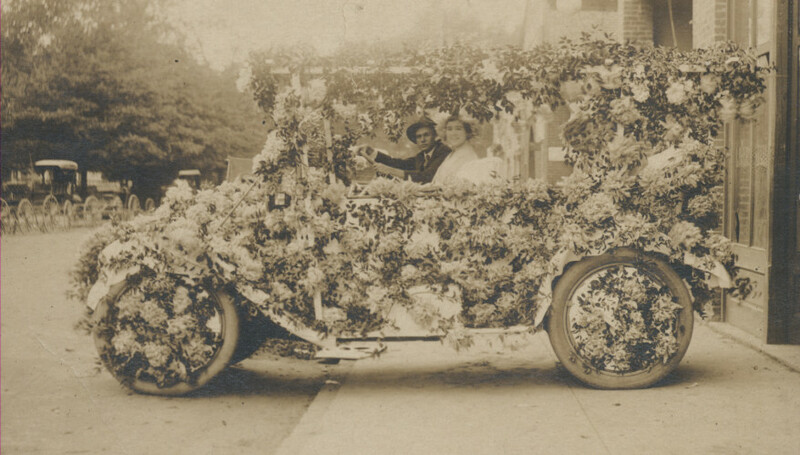 The photos depict downtown Goldsboro primarily in the early 20th century and include some nice images of old buildings and cars, including this shot of a couple, probably just married, in a car completely covered with flowers.